The water heater in your home is often the most under appreciated appliance around. It is hidden from view, which makes it easy to forget unless you suddenly go to take a hot shower after a long day at work and the water is ice cold. There are many different reasons that your water heater may not be functioning properly, however the biggest factor seems to be old age. A water heater that is over 10 to 20 years of age can be greatly diminished in capacity. It won't be long before the unit starts corroding and the water cools almost instantly. An older water heater is not only bad for the environment but also bad for your electricity bill as well. 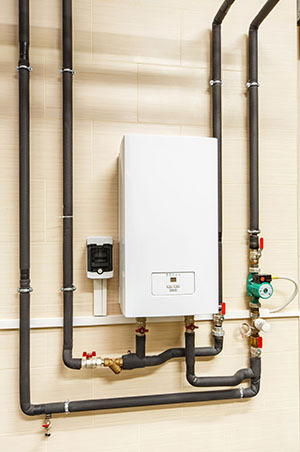 First, it is important to realize that there are quite a few different types of water heaters such as tankless, tanked, electric or gas, so the problems may vary for each type of unit. Below you will find some of the most common water heater problems and what it will take to fix them. Temperature problems are one of the most common types of water heater problems there is. If your water is too hot or too cold, then it may be a simple matter of adjusting the thermostat on the water heater unit. These problems are easy to take care of on your own. Try adjusting your water temperature (the normal temperature for most houses is between 120 and 140 degrees) and then if that doesn't work, try replace the heating element which can cost anywhere from $15 to a $100. If the problem is in a gas water heater, then it could very well be your gas thermocouple and may cost you a little more to replace. Replacing the heating element should fix your water temperature right away. One very common issue is the pilot light blowing out on your gas water heater. This is also a simple fix, as you just have to take the cover off the water heater and relight the pilot. In order to see if it is indeed your pilot light, go to your water heater and check for the little flame. If you smell gas, then you need to shut everything off and call a water heater repairman in order to fix the problem. Gas can be dangerous and is nothing to play with. Relighting your pilot shouldn't cost you anything; therefore, you are in the clear on cost with this simple repair. Sediment buildup is a pretty common problem and usually doesn't cost you anything to take care of. If you find sediment buildup in your tank, just drain the tank completely, flush it with clean water, and then fill it back up. If you have ever gone to take a shower and the smell almost ran you out of the bathroom, then you might have a bacteria buildup. This will build up a smell that will quickly transfer to your drains when the water flows out. The best way to fix this is by adding a little bit of chlorine to your water. These can be gotten for cents on the dollar at any store that carries pool supplies. There is nothing worse than a hot water heater that clunks, clangs, and moans when you use it, especially in the middle of the night. Once again, this can be caused by sediment buildup or a water heater element that is on the verge of going out. Simply, flush the tank or replace the heating element and you should be good to go again. In many cases, you will find that it is cheaper to replace the hot water heater than it is to repair it. Below find some common problems that usually call for replacement. It is only common sense to know that the more usage a water heater gets, the quicker it will need to be replaced. A few things that can cause wear and tear on your hot water heater are listed below. When you have a family, it only makes sense to expect your hot water needs to grow as they do. Frequent usage will impact the life of your hot water heater. Living in an area with hard water can cause mineral buildup in your hot water tank, which will lessen the life and efficiency of the unit. If you have either of the above problems, then it might be time to replace the unit, instead of repairing it. Cost for repairs is averaged to be around $200 per repair, according to the severity of the problem. If you are having your hot water heater repaired on a monthly basis, then in the long run it will cost less to just replace it. One of the most common problems with hot water heaters is using them when they are way past their prime. Most water heaters for the home are sold with a five to 10 year warranty. If your unit is over 10 years old, it will start causing you problems pretty quickly. Some of the problems an older unit can cause are listed below. Unfortunately, it is not easy or quick to fix a hot water heater that is leaking. If you notice that water is standing around your hot water unit, you will want to shut it off right away and call in a professional who specializes in water heater repair as soon as possible. 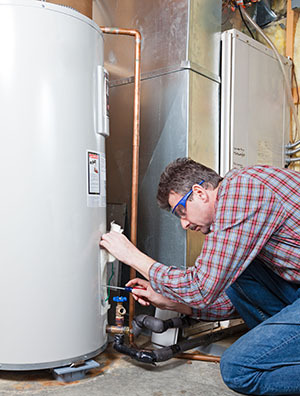 When it comes to repairing or replacing a hot water heater, sometimes replacement is your only option. 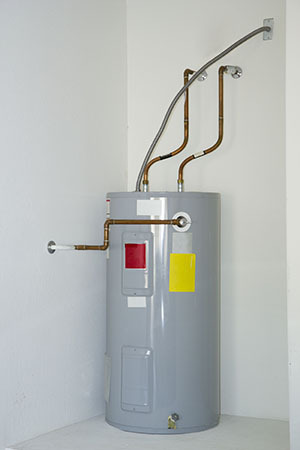 It is estimated that the cost of replacing a hot water heater is in the range of $700 to $2000. This doesn't include the cost of the installation with many companies. The cost actually depends on the company you choose and the brand and quality of hot water heater. It is best to bring in a professional to install a new water heater properly so that you can begin using it right away. When it comes to choosing whether to repair or replace your hot water heater, there are a few things to take into consideration. Although purchasing a new water heater can be a huge out of pocket cost, you will be saving money in the end. Multiple small repair costs add up over time and may hover over the same price as a brand new unit. An old water heater causes you to use up more water and electricity, impacting the environment in a negative way. Newer models not only save you money and water, they also can save space as most are more slim, if not completely tankless. These new, slimmer models take up less real estate and will be easier to repair, if it ever comes down to it. If your current model is old or leaks, it is best to contact a leading water heater repair professional that will get the job down quickly and efficiently.